Executive General Manager (EGM), Navitas, United Kingdom. 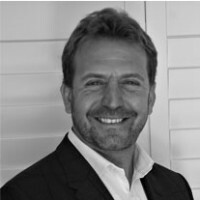 Paul has a deep and intimate knowledge of international higher education and pathways markets in the United Kingdom gained during two decades of employment with Study Group in a diverse range of roles. He was most recently the Director and Principal of the International Study Centres for Study Group, a position he has held for the past 8 years, having previously managed the establishment of their first relationship with the University of Sussex in 2006. He has established trusted and strategic university partnerships with over 18 Higher Education Institutions, achieving industry leading student outcomes whilst driving the International Study Centre network to the largest and most profitable unit within Study Group in terms of gross profit and delivery margin. Paul has personally led the set-up of 12 partnerships, including leading full competitive tenders and winning the University of Sheffield pathway contract from Kaplan. A key element of Paul’s recent role has also been to lead the ISCs to achieving progression rates to the host university which have averaged around 90%. Paul holds a LLB, from John Moores University, an MBA in General Management from the University of Brighton and a MA, Research from the University of Brighton.